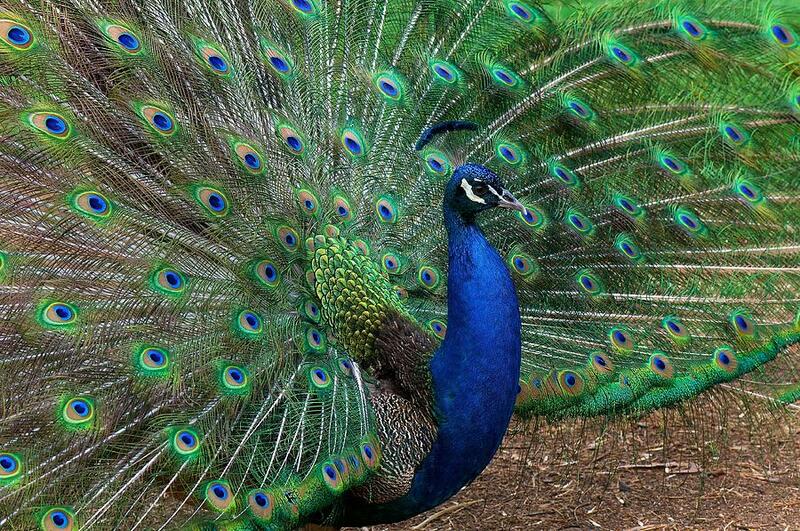 Take a moment to breathe in and meditate on this exquisite being, Peacock. Embodiment is very much about Confidence in who you are, standing proud in full display of your beauty and true colors. Don’t be afraid to let them show. Here we are just days from an incredibly powerful New Moon last Saturday ~ with the gift today of a catalyzing Spring Equinox! Just WOW! Some observers of energy are reflecting on this New Moon just past as fairly challenging ~ and I just want to acknowledge and lift to the LIGHT a very different experience and aftermath coming into today’s Equinox Gate! I decided the beauty and energy of the peacock was a perfect expression of energy to honor today, because as the beautiful women in the Ancient Mysteries Course were leaving an incredibly otherworldly, powerful, generous and illuminating morning in pristine nature on the New Moon ~ we encountered a male peacock. Peacocks are universal symbols of resurrection, they are the epitome of beauty and teach about balance, awakening, wise vision, Self-confidence and Self love. Breathe That In. The Spring Equinox is also about balance ~ today reflects a day that is equally balanced between the darkness and the light. Tune in for a moment and feel that invitation in both your interior world and the greater world we live in. Something is always coming and something is always going. And yet, there is a foundation – a center point that remains steady, steadfast, strong and unchanging. We have felt the energy of this Equinox Gate coming for months now – it represents an alignment of Cosmic Stargates interacting with our Sun while enveloping Gaia in powerful, consciousness shifting energy. On the New Moon last Saturday, we discovered and were led through what can only be described as the Mother’s womb ~ crawling fearlessly through the birth canal (ancient stone and crystal formation) and coming out into a different experience and understanding of ourselves, one another, existence, Sky, Earth, Beloved. I feel this experience which I will talk about on the upcoming webcast was part of this alignment of Cosmic Stargates happening today. Whatever seeds you planted on the New Moon, the setting you were in and the people you were with – the balance of your experience between mind and heart, knowing and trust, old habits and new potentials – this Equinox Gateway (12:15pm eastern) launches a time of movement, flowering, creating, new relationship and manifestation related to those seeds. Feel the energy of launch as you meditate on what you set in motion last Saturday – was your intention at the center of your desire and endeavor? The New Moon in its highest expression was incredibly holy – it enhanced and polished the frequncies of co-creation, of unity and brother/sisterhood… an incredible deepening with the Mother. Now, still marinating in the almost surreal circumstances of this New Moon – this Spring Equinox serves as a catalyst to assist us in anchoring, amplifying and disseminating dramatically different light codes, harmonics, rays and New Earth experiences into the collective conscious that we might not have even had on our radar before the New Moon. Know this – the veils are thinning dramatically, there are significant dimensional barrier-dissolving waves present that are triggering a completely new consciousness shifting experience on both cellular and light body levels. What a gift to be able to be in conscious bodies and experience being inside of the earth, greater than any fear and then coming out of the Mother’s womb. You cannot make this stuff up. We will talk more about the upgrading for the New Light Level and what that means for you and me and the collective consciousness in the next show. GEESH! it is a full time job keeping up with the phenomenon and mystery going on with our physical bodies. It is so important to yes, pay attention and stay on top of it with adjustments and varying treatments… but it is equally important to keep tuning into the WONDER of what you are – the WONDER of your body, your identity as Light and the very intimate connection you share with this earth star. If you stay in your heart and remain flexible and willing – she is going to call you into incredible experiences of repatterning and activation directly connected to her own. WE ARE READY. Bring as much transparency, integrity and intention as you can to your thoughts, words, emotions and choices because this NEW LEVEL ENERGY is amplifying everything that you do. Stay in your heart, come only from love or go meditate, be still until you find that space. Recognize that if you are identifying with lack, with limitation or lower self indulgences in any way – THAT TOO will be amplified in your experience. Allow yourself to breathe and feel the Divine Will of this wave’s intent. It has a significant effect on crystalline beingness, accessed through the Heart. This is a TIME TO SHINE ~ to embody your Truth and expect the unexpected. Global shifts are on the horizon – meditate on and visualize highest trajectory choices, BE in your JOY, pray, cleanse, adjust, create and SURRENDER COMPLETELY to the Will Of The Divine. Step into your Creator Beingness. Divine Service is as Divine Service does. Imagine sitting cross-legged across from the Beloved, your guides, angels, the Shining Ones…. and tune into what Divine Love is asking of you in this NOW? I can assure you it is bigger and more and likely very different than you have imagined, thus far. Ground your experiences by journaling or creating through this passage. Notice, be a witness to the changes in your trajectory rather than repeating the familiar. When you are in your heart, in trust and allowing – IN LOVE with this process of Creation – you will flow with these crystalline waves into very new experiences, opportunities and expressions of Self. And it is going to feel good!! 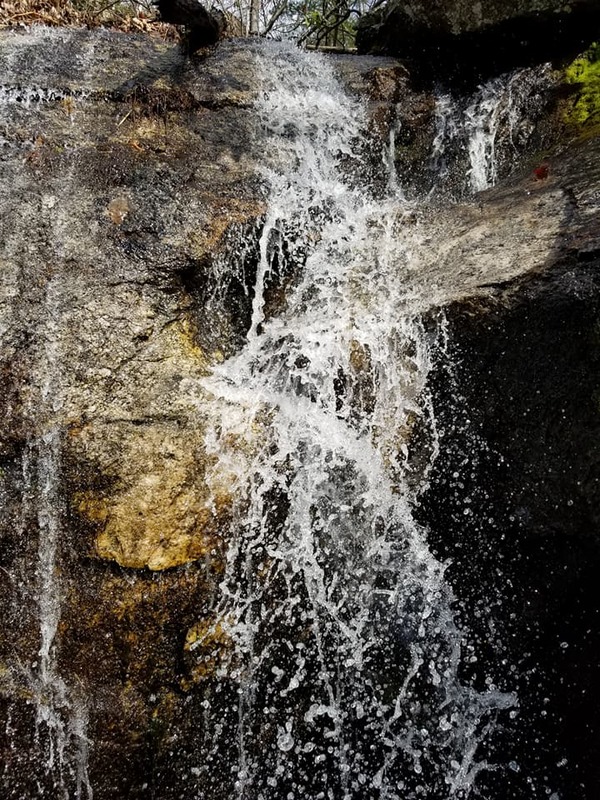 Here is a NEW MOON waterfall from the Divine Feminine Earth for you to tune into and immerse yourself in. Shed what is no longer serving, give away what is no longer needed, relax and allow yourself to experience this experience fully. It is the very definition of grace, holy now, sacred peace. WE ARE READY. Happy Beautifulllll Vernal Equinox to You, Dear DeAnne, Great Teacher on the Earth, in the Earth, with the Earth, of the Earth, of the Stars. Thank You for YOU. a Sacred Heart Radiance . Thank you DeAnne for Shining it forth on Gaia’s stage . Tranquility immersion for Autumn dwellers – compass > South. Thank you for this! As always, in perfect divine timing! How are those energies flowing for you? Cause I’m getting a lot of nausea, some head aches and unease with this influx of this Divine light!! having to really ground the energies into Gaia and be clear in my thoughts. Breathing through the uncomfortability and resting in the knowing that all is well and the divine plan is unfolding as it should…. I am sleeping a LOT! I’m waking up at night and napping during the day. It’s kinda crazy and fun! Can’t wait for your next webcast!! !